Yussuf Hassan of Cocopure spent 13 years of his youth in the Island of Zanzibar where the staple food is coconut. As a child together with others, he used to often climb coconut trees after school. ‘You need to be strong in the mind and body. It takes concentration, you have to plan every move and anticipate: The tree can fall and the wind can twist and swing it like a bucking bronco. Rats bite, you catch them sometimes in the top eating coconuts. You can tire and lose a grip, a foot can slip, the tree can be smooth with no grip.’ In Zanzibar diabetes is unheard of among those people who eat traditional diets. But when they abandon their native foods and adapt Western ways, disease of all types surface. The coconut palm is the tree of Life, because of its many different uses. 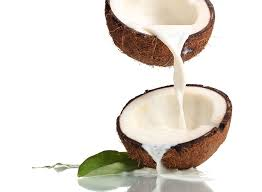 These include: coconut sap (toddy) as a source of sugar, vinegar as alcohol; coconut water as a delicious, non-alcoholic beverage or vinegar and substitute for blood plasma in emergency surgical operations; coconut oil for cooking, as milk and cream, and for making soap, as diesel fuel, for lighting, for making candles; coir fibre for ropes and mats, cocopeat for horticulture; shell for buttons, decorative carving, burnt as a fuel and for charcoal; wood from the coconut stem for furniture and construction purposes; leaves for decoration and as a thatching material; finally the heart of the palm as vegetable salad (millionaire’s salad). He started Cocopure Manufacturing and Distributors in 2007 to bring this beneficial product to the consumers of South Africa.